VISALIA – The youth and inexperience of the Golden West Trailblazers proved to be their demise in their 17-1 defeat by the Redwood Rangers. Redwood is once again one of the most experienced squads in the West Yosemite League with six seniors. In contrast Golden West (4-10, 1-1) entered the 2019 season with just one senior on the team, and with a lot of new faces at certain positions. The most inexperienced position group for the Blazers is their outfield. According to Schonbachler, Golden West does not have a single player who has played in the outfield, and that cost them in the bottom of the second. With two runners on, Redwood’s Mariah Guerrero hit a routine fly ball to left field. Alyza Flores went to make the catch, but the ball bounced off her glove and into foul territory allowing the first two runs of the game. 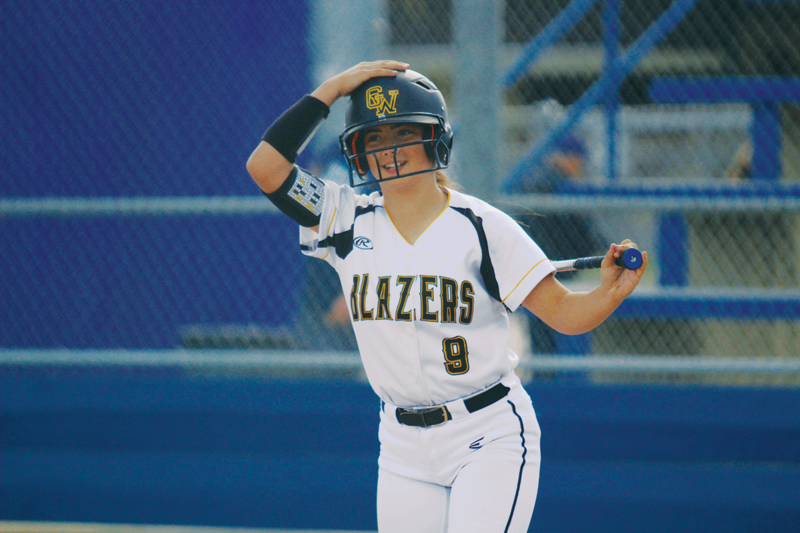 “We are constantly trying to convert them into outfielders,” Schonbachler said. Pitching isn’t much better for the Blazers. Right now, they have two available arms. Emily Geston entered the game in the fourth inning. The converted pitcher got two of her first three batters out, but then gave up a three run home run to Redwood’s Abigail Hillan. On the next pitch Prya Burns hit a solo homer to right. Both of the long balls extended Redwood’s lead to 14-1. “We are a work in progress right now, and we are building for the future,” Schonbachler said. Golden West has made some strides this season. The Blazers began WYL play last week with an 11-4 win over the Mt. Whitney Pioneers. Tonight at 4:30 p.m., Golden West has their toughest home game of the season as they travel to play the Hanford Bullpups.